where E is energy, h is Planck’s constant, f is frequency. The higher the frequency, the shorter the wavelengths, and vice versa. In this post we are going back to the electromagnetic spectrum and investigating an exciting region called terahertz, which will at the end of this post show you how to read every word of a closed book. This post will focus on THz radiation used for such purposes as spectroscopy, which is key to achieve imaging, biomedical detection, material detection and detection of material hidden behind other substances. 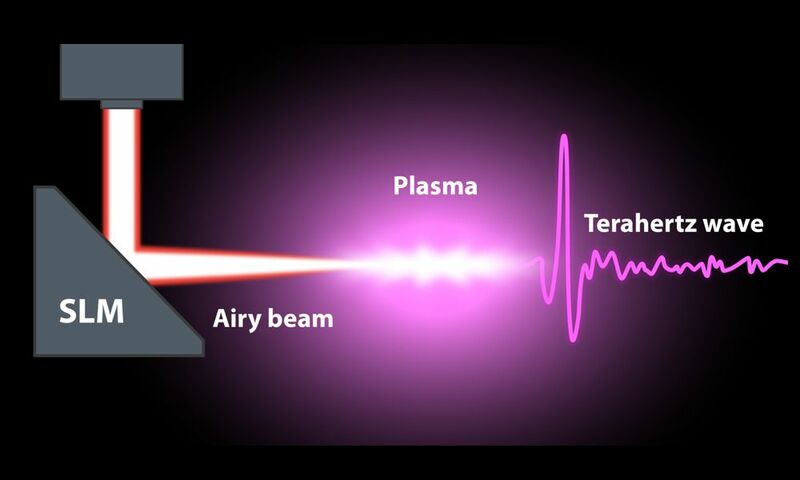 Terahertz time-domain spectroscopy (THz-TDS) is a technique where short pulses of terahertz radiation are emitted to probe a material, to detect its properties. The generation and detection of terahertz is sensitive to the sample’s effect on both the amplitude and phase of the terahertz radiation, while more conventional methods, like Fourier-transform spectroscopy (https://en.wikipedia.org/wiki/Fourier-transform_spectroscopy ), is only sensitive to amplitude. Long story short, this means that you have more information about the signal and require less analysis to retract the information you are looking for. 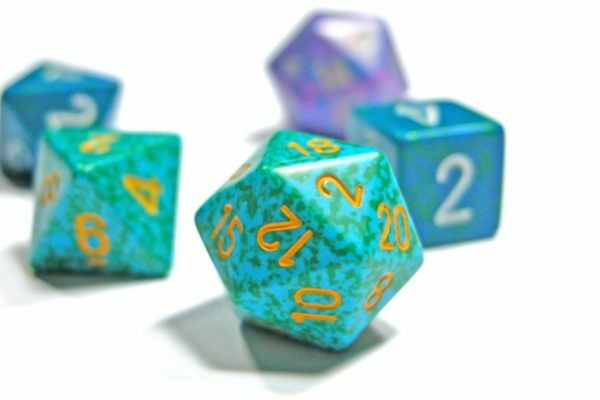 For the advanced readers: https://link.springer.com/article/10.3938/jkps.64.727 . The THz-TDS system works by using a high intensity ultrashort pulsed laser to generate terahertz pulses from a crystal. A single pulse can contain a wide range of frequencies, often from 0.05 to 4THz. There are other ways to generate THz pulses, but that will not be the scope of this post. After the THz pulse is generated, the pulse is directed through an optical setup and is focused on a sample for measurement. As we seen in the clip below, the pulses are split into two, by using a beamsplitter, where one is to generate THz pulses and the other for detection. This is the THz-TDS. The pulses to the left first go through a crystal to generate the THz pulse, then through a series of parabolic mirrors that are used to guide the THz pulses from the emitter to the sample and then at last to the detector. The pulses to the right go through a delay stage to vary the arrival time of the detection pulse. By scanning the delay line, the electric field amplitude and the phase of the THZ waveform (or pulse) can be mapped out as a function of time. 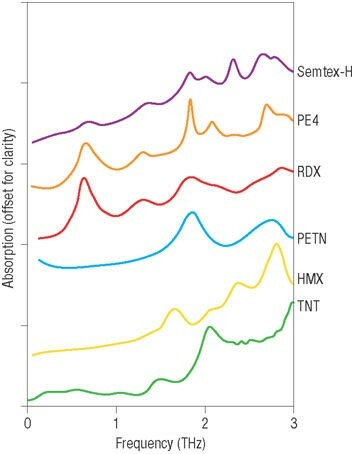 One of the main advantages of performing THz spectroscopy, compared to for example infrared spectroscopy, is that the many substances have their spectral signature in the THz range. Signatures are specific combination of emitted, reflected or absorbed electromagnetic radiation (see the electromagnetic spectrum above) at varying wavelengths, which can uniquely identify an object. That was a lot of words, so let’s keep this simple: every material in the world has its own signature which is dependent on frequency/wavelength. Spectral signatures are a bit like the “fingerprint” of a material. Most materials have their spectral signature in the THz range, making THz spectroscopy an ideal method to detect specific materials. Explosives have spectral signatures in the range of 0.2-3.0THz, as we can see in the absorption lines vs frequency of different explosives in the picture below. 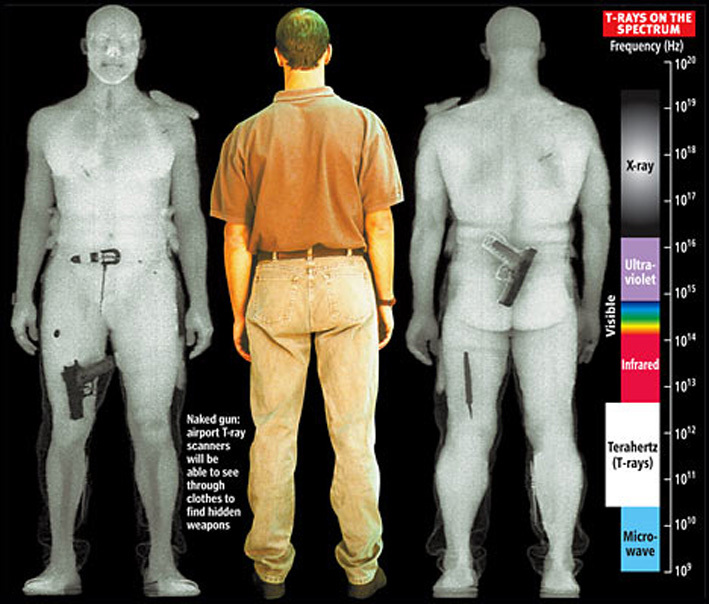 The absorption lines of the explosives can be detected even when covered by other materials, like clothing or paper, which have no spectral lines in this region. 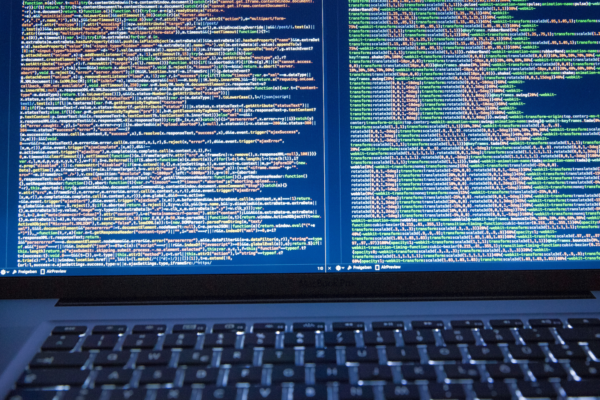 The absorption lines from other surrounding materials can be filtered away by using appropriate software. Let’s go one step deeper and look at what happens on a molecular level. When you emit electromagnetic radiation to a material, the absorption of the radiation in the material is typically due to the excitation of the vibrational modes of the molecular bonds of that material. The difference between emitting terahertz waves from other waves, is that terahertz waves are lower in energy and excite longer wavelength vibrations, such as phonons in a semiconductor or molecular vibrations in an organic material. Since these vibrations are different for every material and have a distinct spectral signature, terahertz spectroscopy becomes a very useful method of identifying different materials, especially when the material you wish to detect is behind other materials (such as clothing). More on the vibration of molecules in the next section, when it will become more apparent how terahertz radiation differs from other radiation. 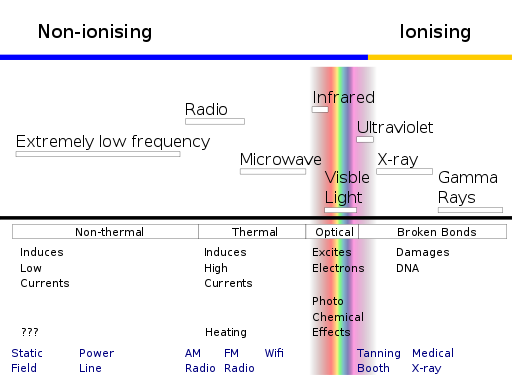 If we look at the electromagnetic spectrum again, we see that THz radiation has a much lower frequency than, say, X-ray. Actually, it is about a million times less, meaning that the photon energy of THz is much lower. THz radiation is also non-ionizing and thus bypasses numerous of health concerns, making it very suitable for imaging of biological tissue. X-ray is an example of an ionizing radiation, which is why the dentist always leaves the room when imaging your teeth. As mentioned in the introduction, THz is strongly absorbed by water, making it sensitive to probe biological tissue close to the surface of the skin. While infrared light, for example, gives water and other molecules a bending and stretching motion, THz radiation causes the group of water molecules to coalesce and disassemble repeatedly – sometimes seen as “water cluster dances”. Soruce: Martin Chaplin/ London South Bank U Bending and stretching motions of molecules during radiation. Source: Matthias Heyden/Ruhr University Bochum Collective motions that THz light induces in water molecules – causing clusters of molecules to coalesce and disassemble repeatedly. Since water absorbs THz radiation so strongly, THz spectroscopy is very sensitive to changes in the water content of materials. So, when imaging skin or other tissues that are full of water, the sensitivity of the biomedical imaging can be exploited. 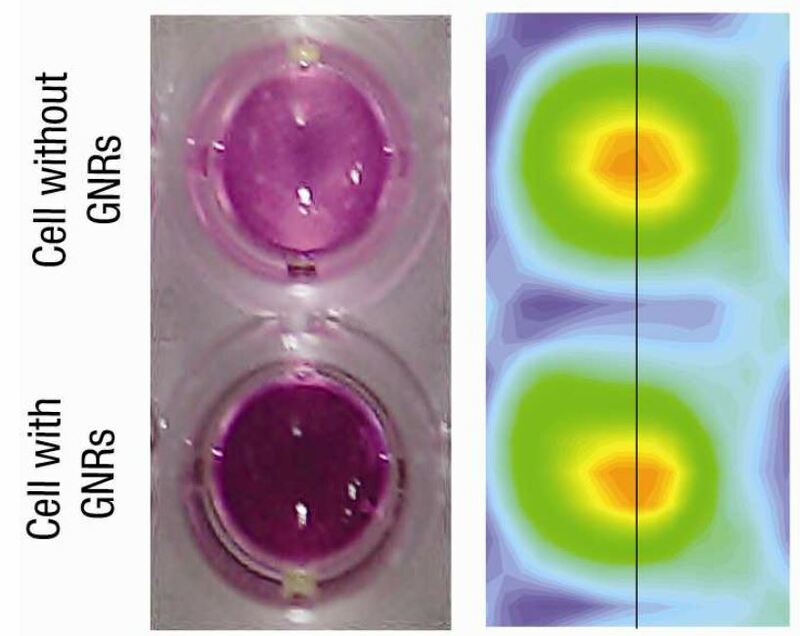 What we mean by exploited is that healthy tissues and tumors differ in terms of how they interact with THz light based on differences in their water and blood concentrations, tissue structures, and other factors that alter their optical properties. So, if a THz beam probes a patch of skin containing normal and cancerous regions, those differences can be understood by analyzing the light reflected by the skin. A tumor can even be detected when the differences between it and healthy tissue are subtle. Back to the basics: To generate a THZ pulse, you need what is known as a femtosecond laser, which emits optical pulses with a duration in the domain of femtoseconds, i.e. 10^-15s. Since time and space are tied together with the speed of light, higher time resolutions will result in finer space resolution (https://www.media.mit.edu/projects/reading-through-a-closed-book/overview/). This means that as the THz pulse penetrates a book, we can sample the pulses of light with a time resolution of about 10 trillion frames per second. Such a high time resolution provides a space resolution of about 30µm, which is high enough to separate pages of a closed book. 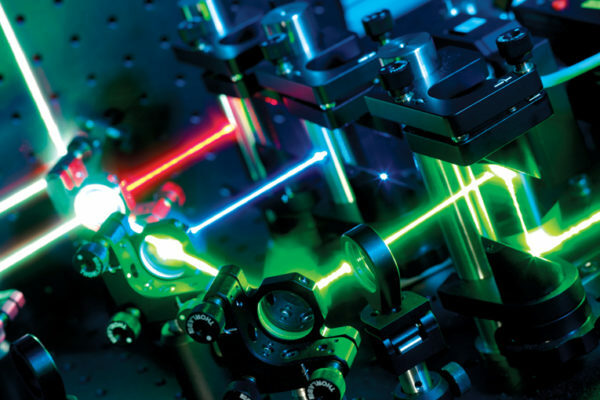 THz lasers have taken quantum leaps the last decades, from being utilized in only lab experiments to more industrial applications. THz lasers will most likely emerge in such industries as security, biomedical applications, as we see examples of below. Other important applications in will be wherever material detection is vital (like pharmaceutical), and finding hidden objects blocked by other substances.